E-Commerce has had a tremendous rise globally. It has challenged and dramatically changed the traditional business models and value propositions of many business organizations. People now are employing at mass E-Commerce Website to do their business electronically since Internet and the security of transactions through Internet has become mainstream. Your decision for building an E-Commerce Website would be great, and in this article we will try to explain couple of steps and points to take in consideration. A more engineering approach toward system development requires a more mature methodology or steps of building the site like: System Analysis and Planning, System Design, Building the System, Testing, Implementation. 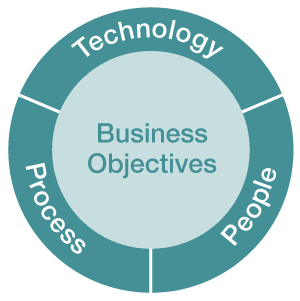 One of the first steps you should take in consideration is to develop a clear understanding of your business objective and knowing how to choose the right technology to achieve these business objectives. Then, you should take care about parts which take place in actual building of the site like: Human Resources, creating a team with needed skills to create and maintain the site, hardware and software. At your System Analysis and Planning step you define your Business Objectives, which means that you should list the capabilities your website should have. Then, you define the functionality of the System which is interpreted as the capabilities that your information system have to meet your Business Objectives and finally it's the information requirements: the system must produce information elements so it can meat the business objectives. At the System Design step we firstly describe the specifications of the system where we describe the main components of the system and their relationship between each other. Then we take care about Logical Design of the System (like Database and System Design) and Physical Design (like physical or software components). In addition, as long as the Building the System step comes in consideration you have the possibility to build or host your own website or let another one do the job for you. As long as the first option comes in consideration you should have a team with diverse skills, good choices of software tools, and ofcourse you have risks and possible benefits from it. After you build up the system, the next step is Testing where you do unit and system testing, you check the functionality of the system and any possible exceptions or problems, also you do an acceptance testing to check what will be the reaction from the customers regarding your system. The final step is the Implementation, where the actual system or in our case Website is implemented and already reachable in the Internet. To build a website especially an E-Commerce website you need a budget to maintain it. In order to clarify it we divided the budget into components and we called the components of budget which are: System maintenance, System development, Content design & development, Hardware. E-Commerce websites have a two types of system architecture which is the two-tier and multi-tier websites. The two-tier Architecture is simple because we have the Web Server and Database Server. User requests access to the web pages through Web Server and the Database Server provides data. At the other hand, a multi-tier architecture includes Web Server which is linked to a middle-tier layer which in turn has some application servers that perform specific tasks, then we have a backend layer which includes corporate systems like (Enterprise and Financial Systems). As long as the Web Server comes in consideration, the leading software is definitely Apache followed by Internet Information System IIS made by Microsoft. Also, you can find a lot of ready made templates for your own E-Commerce websites with dedicated design and functionality to the field of your business, also you have ready made Shopping Cart which allows the customers to purchase goods. Finally, you should definitely take in consideration the design of the website, it should have a clean design and be informative as much as making it easier for the customer to find what he needs and purchase the good. When you would like to eCommerce website development for earning money then you search good company tell them what is your main requirement. i really want to know about online shopping and ecommerce thanks for sharing such a nice information about that.ecommerce.. I was searching for new information's about e-commerce and online shopping.your blog on this topics was really nice.i understand your all points thanks to share. Web development is not an easy task. In order to make a unique identity of websites, highly independent and synchronized activities are essential. Ecommerce website development is highly competitive. 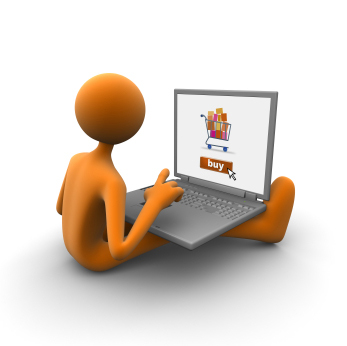 Only the highly talented professionals Ecommerce Website Development can survive in this field. In order to provide the best website development service, one must also be ready to combine efficiently with net work security, web server, web development, web design and client liaison efficiently. In order to make your website highly impressive, we are using all possible tools. Thank you for sharing valuable information. Nice post. I enjoyed reading this post. The whole blog is very nice found some good stuff and good information here Thanks..Also visit my page.seo services Our team always avoid generic web designing because we know from experience that every business is unique in its approach and every industry operates under different dynamics. By designing the ecommerce website with the help of responsive web design,we could increase the sales and conversions of our business and also get more mobile and tablet users as consumers. How can we easily increase organic traffic of this website.